Looking to build a 4K facility? Like to see how others did it? 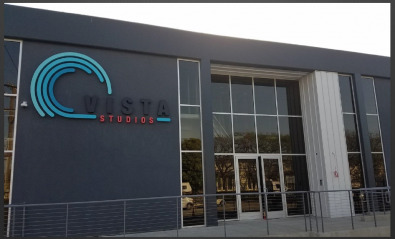 Vista Studios L.A. claims to be the “first greenfield build” of a fully independent, multi-services 4K production facility in Los Angeles. While the facility relied heavily on SAM technology, other technology leaders’ gear is leveraged into the client-friendly facility. This article looks at the technology used and explains decision background. Need to know more about the coming SMPTE ST-2110 standard? Consultant Gary Olson provides a review of the 2110 standard. Learn what the new “family of standards” will mean to your technological future. Because the standard will grow with other elements, this is a space you need to follow carefully. The Broadcast Bridge can be your up-to-date source for this information. Vista Studios can support a wide range of HD, 4K, UHD, HDR and IP projects within its new 30,000 sq. ft. facility in Los Angeles. The new Los Angeles Vista Studios production facility is entirely built on single-wire 12Gbps 4K-SDI/SMPTE Fiber, which can handle both baseband and IP signals. Studios like Vista don’t currently exist in Los Angeles,” said Co-founder/CEO Randall Heer. While the facility relies heavily on Snell Advanced Media (SAM) equipment for major components, Heer says it is agnostic when it comes to its post production services. 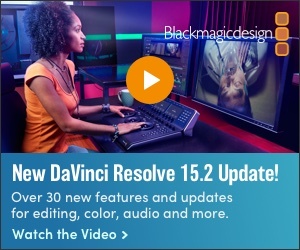 Clients can select from Adobe, Avid and Apple (Final Cut Pro) editing suites. Even the cameras are chosen based on client needs, with HD and 4K models available from Grass Valley, Sony and others. Consultant Gary Olson looks at the upcoming SMPTE ST 2110 standard. It currently is in final draft and soon to be published. Different from previous SMPTE standards, SMPTE 2110 is a Family of Standards covering live production based over IP. However, because it is still under wraps in the secret world of committee, there is scant information on where things stand. This article provides important background and sets the stage for a full report. The Broadcast Bridge IBC 2017 Event Channel goes LIVE 24th July 2017.